The other day, I told you about my favorite DIY hair treatment that I have been using as I prepare to be a bride! Today I want to talk to you about some ways I am trying to live a healthier lifestyle -- in preparation for my wedding and marriage, but also just in general from now on. This isn't a health blog, and I'm no health guru! So, these are just some simple and random tips (from a non-expert) on small but important ways we can be healthier -- by adding things to my lifestyle since the start of this new year, and tweaking other things, I feel healthier and happier than ever before! I could go in depth into all of these "ways to be healthier" but this is just a post sharing a little bit about what I do. We all know how important it is to drink plenty of water every day. But, I - for one - often forget/get too busy/or.... drink other things instead (like coffee!) And so I have to be purposeful about getting water in. I often write it down as a tally in my day planner and calendar, and have been using a huge Mason Jar (like this one!) filling it up and drinking as much as I can all day. This mason jar is darling, and MONOGRAMMED! Ah, and look at this mason jar set?? 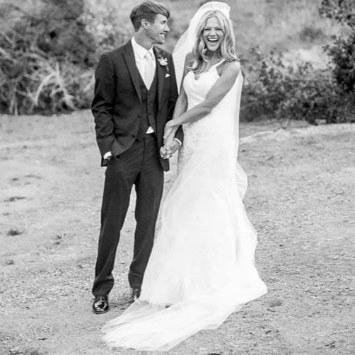 Mr. and Mrs?! Adorbs. My fiancé and I need them! Read more about what dehydration does to the body. Here are 29 benefits of drinking lemon water. 5 benefits of drinking water in the mornings. I need this cute fruit-infusing water container. Some of you may love the cute theme of this one -- I like the design of it inside! Well, this certainly makes water drinking fancy! Essential oils have become all the rage with bloggers, amiright? I don't sell them so this isn't a sales pitch ;) But, I've wanted to try them for about a year now. A few months ago, my sweet PRECIOUS friend Heather (who is one of the first gals I ever connected with through blogging a few years ago -- read her blog here) and her husband gave me and Daniel a starter set of essentials as a pre-wedding gifts (so sweet) and we were so grateful! She is an amazing resource and knows all about essentials -- see her website here, The Oil Diaries. She is my go-to girl for essential oils, learning about them, and joining in with an amazing community of women who love and are learning how to use essentials. I am not kidding, essential oils are really remarkable and they do work. Daniel and I have been blown away by them, actually. I love diffusing them (especially citrus fresh + lavender), using lavender on my pillow to help me sleep. Pan Away is amazing to use for sore muscles -- Daniel loves it after he plays viola for hours or does construction. I am obsessed with Thieves. It's actually gone and I need to order more from Heather haha! I always get several colds and notoriously lose my voice every.single.winter. January-March I have always been battling colds that turn into sinus infections. This year? I got my normal February cold. And then? I used Thieves every day -- on the soles of my feet, diffused in my diffuser, and a took a drop of it in a spoonful of honey every day... and my cold subsided within just a few days and I have been completely healthy since! This has never ever happened to me at this time of year, and really feel that I owe it to the essentials. Yay! I am still learning how to use essential oils, and I do think that you need to research, take classes from the girls, learn and read as much as you can before using them. Make sure you understand how to use them with a carrier oil -- I didn't at first and with sensitive skin, I developed a bit of a rash. Now that I always use coconut oil to dilute them, I'm fine. Check out my "Oils" Pinterest board with lots of info. My friend/might as well be sister, Megan, told me about this app and it has helped me so much. I love that it has a lose weight and gain weight option -- most health apps just focus on losing weight, but gaining weight is just as important to many of us at different health seasons and it's often overlooked. I've needed to gain weight in the past few years (after a year of severe stress in my life, I began losing a lot of weight and then just kept losing) and so last fall, I purposed to start eating healthy and My Fitness App has helped me tremendously as it helped me figure out what I needed to gain to "get healthy" again. So sisters, download this free app (and this isn't an ad, I just genuinely love it) to help you as you work toward whatever goal you feel is most healthy for your body, mind, and spirit -- whether that be gaining weight, losing, or maintaining. Here's to feeling fabulous! This smoothie maker is fabulous. And this one's a great price! Who doesn't want this one? 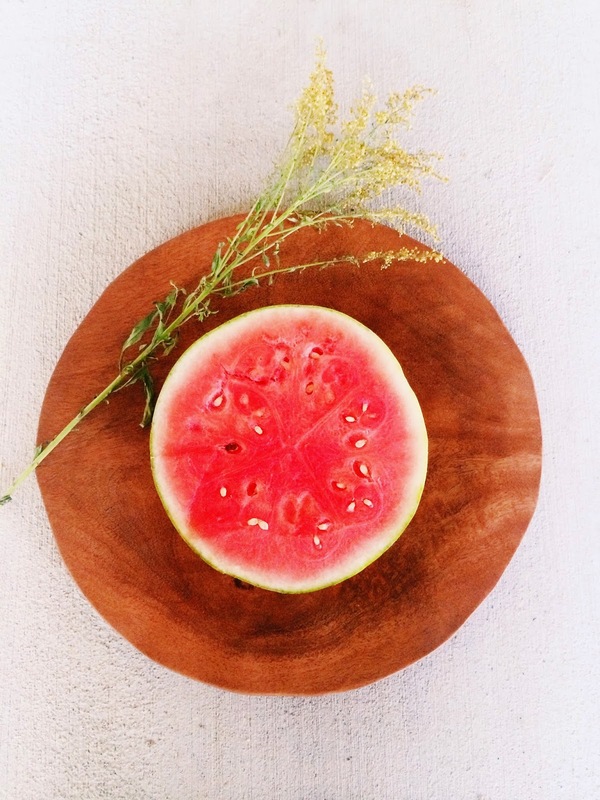 I'd happily eat fruit from this pretty bowl. Oh, and this one's even prettier! I need this printable seasonality chart to know when fruit is in season. This blender looks quality but is a low price! 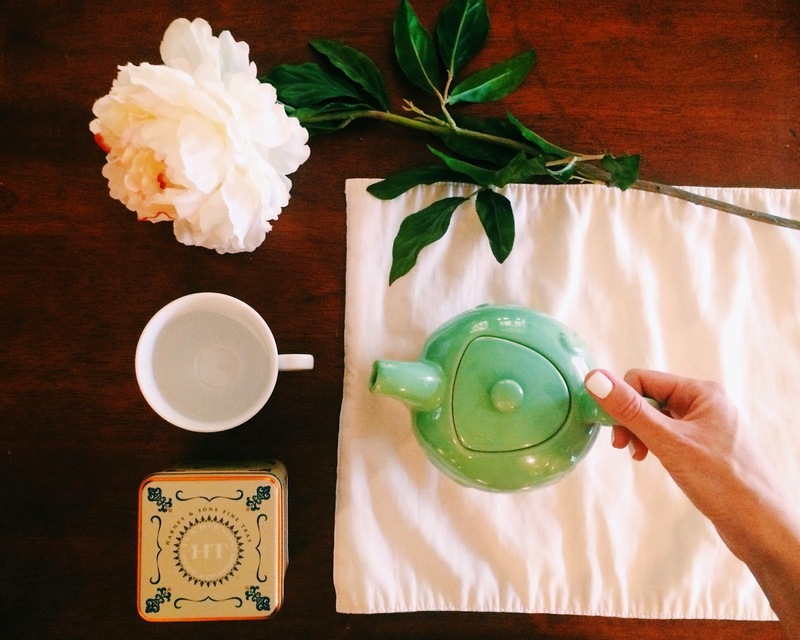 Read this article on 10 Benefits of Drinking Tea Over Coffee. Can we also take a moment for these darling flowery tea pots? I also really enjoy My Beauty Tea. Awesome, quality brand. Look at these cute Anthropologie jars -- perfect for storing tea. Organic coconut oil (like this one) has been my best friend for the past two years, and I literally use it for so so much. I use it for lotion after I get out of the shower, I make body scrubs with it + sugar, I use it as a hair mask/moisturizer, use it to treat sunburns, brush my teeth and practice "oil pulling", as a mouth wash, as a makeup remover, for cooking, and so much more! Coconut oil has many health benefits and so many uses. Some of the amazing benefits of coconut oil. I had never heard of Kefir until my very health-conscious friend Carmen told me about it. When I bought some and tried it, I fell in love! It is not only very nutritious, but it's super yummy. Kefir means "feel good" in Turkish. It is a fermented milk product, similar to yogurt -- and we have all heard how beneficial fermented foods are for our health. There's so much to it, and I am still learning about all this. 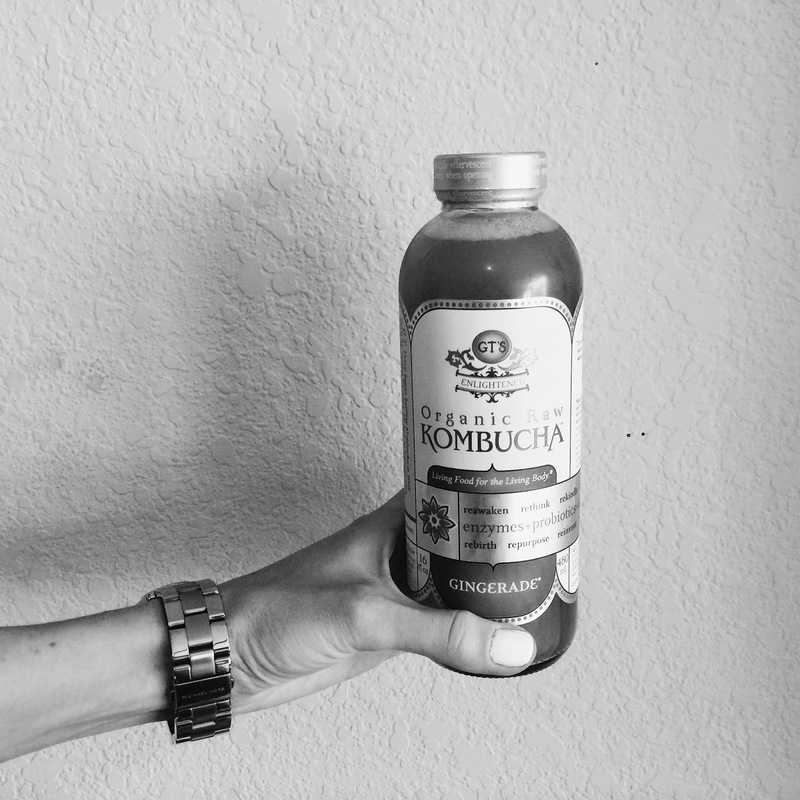 Fermented foods are full of probiotics, have many nutrients, are easily digestible, help gut health, and help build a stronger immune system. Here are some benefits of fermented foods. Kefir is a great way to start getting fermented benefits in your diet. I have read that Kefir helps improve the immune system, is full of calcium and so is good for your bones, teeth, skin, and hair. It helps purify the body of toxins and helps improve chronic fatigue. I buy it at Trader Joe's, Whole Foods, and even some regular grocery stores. But, you can make it for much cheaper at home (when I get married and settled, I'm going to try!) Here's a great blog post with much information about Kefir. I try to drink Kefir almost every morning, and have noticed it gives me energy for the day, and (I believe) is one of the reasons I have not gotten sick this winter. It's wonderful! I want this crock pot! Who knew there's such a thing as a double crock pot?! "Going it alone" is not a good plan for me personally. I tend to stick with something and follow through if I have some inspiration -- books I read, role models to look to and learn from, blogs and social media accounts to follow, and just motivation in general through the form of community and reading. 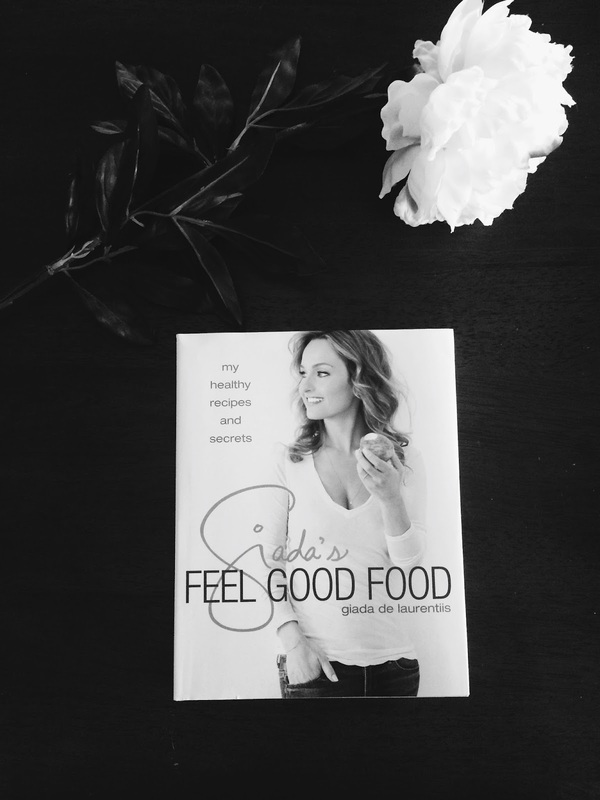 I loved reading chef Giada DeLaurentiis' new cookbook, "Feel Good Food" because it's full of recipes that are fresh, unique, and tasty-looking, and also all of her health and natural beauty tips! Get her book here. What a fun cookbook all about Mason Jar salads! Foods that give you power? This cookbook looks great. I love this Instagram for inspiration and encouragement. This is my favorite health blog. I have wanted to try oil pulling ever since I heard the "Divergent" star Shailene Woodley talk about it in an interview!! I had neverrr heard of it before, but I want to try it sometime!! And just start using coconut oil in general!! Definitely mentioned this post on my weekly roundup at robineylea.com today! I loved all of these tips and links! 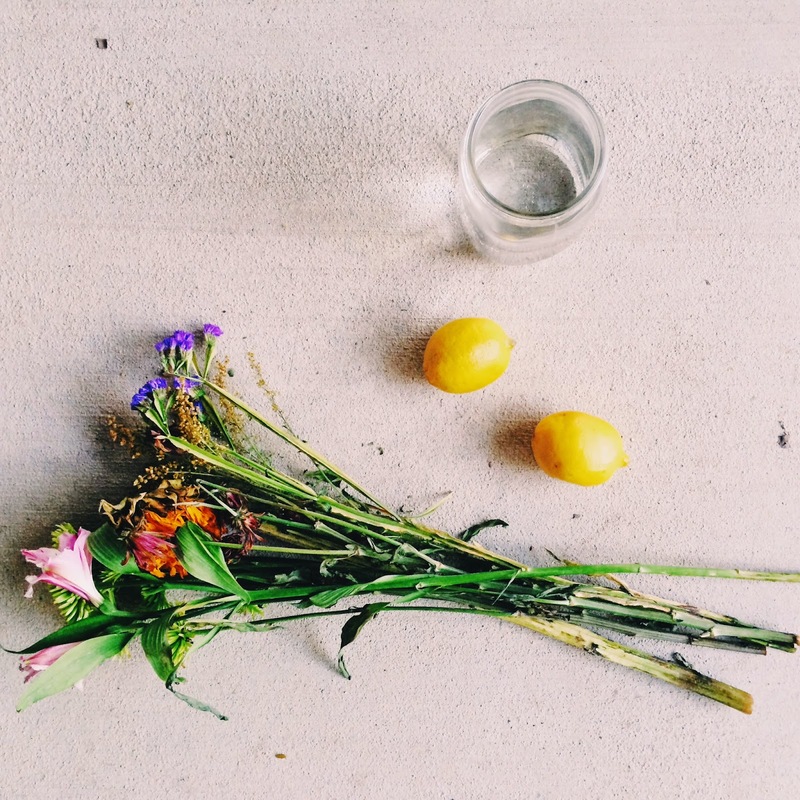 I love how these are really simple tips to adjust toward a healthier life! Not sure about kombucha still, but the more water thing is definitely something I'm working toward! The decor at this place is absolutely beautiful. In terms of decor, this is definitely a big step above a typical banquet halls in Chicago. It's spacious, breathable, and absolutely glowing. They can bring in an open bar as well into this place.